Here it is, folks. We’ve found the most cringe-inducing video to have ever graced the internet. While groveling for the attention of voters in Iowa this weekend, Ted Cruz attempted to show a group of cameras what a human display normal familial love looks like. “Ow ow ow!” shouts the young Cruz progeny, as her father nudges in, closer and closer, lips pursed and brow furrowed. 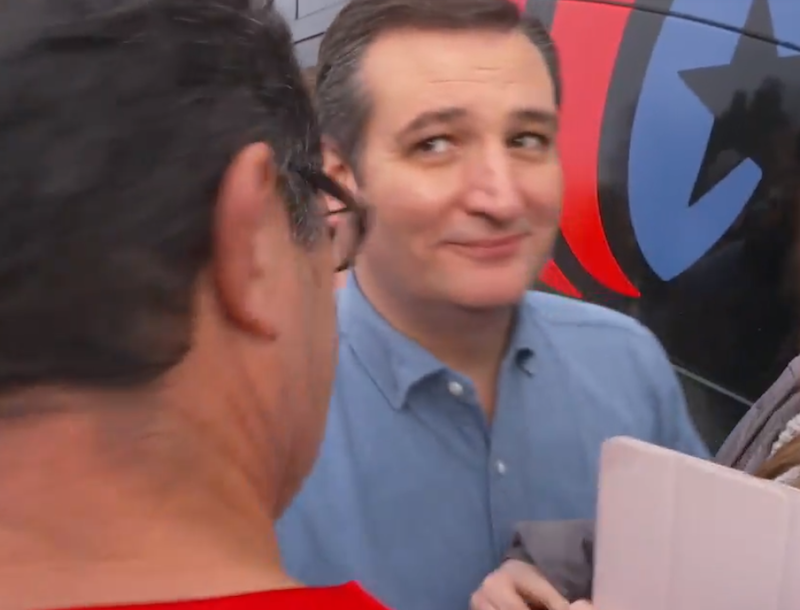 Naturally, Cruz manages to catch the camera’s eye as he retracts, making sure they caught every moment of the spine-chilling exchange.